Many exciting projects going on at once. • The Mariachi Miracle in production! Daniel Buckley’s sixth film in the Cine Plaza at the Fox series is well underway. The Mariachi Miracle focuses on how mariachis and folklorico dancers have become agents of positive change in politics, education, social justice and economics in Tucson, Arizona, and how Tucson in turn has become a catalyst to change in the rest of the mariachi world. Slated for premiere in the spring of 2015. 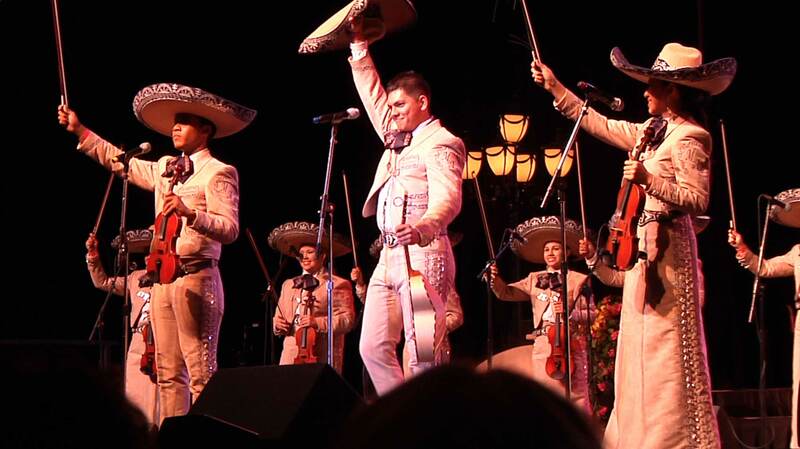 • Support the film: You can now make a tax-deductible donation to The Mariachi Miracle project. Click here. • Photographic series in progress: Three new extended series are emerging in Daniel Buckley’s still photography. The “Panoramic View of Arizona“ project continues to add wide screen images of Arizona wild lands and cityscapes. 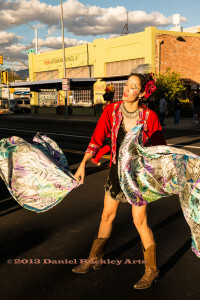 In the fall of 2013, a new series titled “Este Es Mi Ciudad” (This is My City) began, centered around the old and new of Tucson Arizona, local celebrations, ordinary life and portraits of special Tucsonans. Inspired by the work of Mexican photographer Lola Alvarez Bravo, it is intended to be an ongoing window into Tucson life and testament to the people who make it such a special city. The third series, to begin in early 2014, is entitled “Bewilderness,” and it is intended to be grand, beautiful and a bit goofy. Stay tuned. 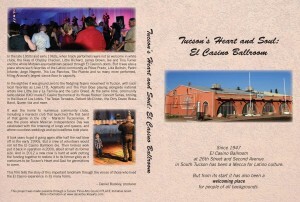 • Postcards: Daniel Buckley has been chosen to take part in a Tucson artist postcard project. Long a collector of postcards, Buckley used them in his performance art works of the 1980s and even used them to write a serial postcard short story titled, “the Amazing Adventures of Harold and Sally.” Keep posted for links and more. • Web page for the Little Dinks: At long last, the group that deserves the least respect is getting a tiny speck. Is the world ready? Learn more about The Dinks, and order copies of the band’s 2010 release “Negligible Chub” by clicking here. • See Daniel Buckley videos on YouTube. My user name is dbtucson1. • Buy Buckley Merchandise: The complete Cine Plaza at the Fox documentary series, including “Tucson’s Heart and Soul: El Casino Ballroom: is now on sale, plus music CDs and more. Just click here!